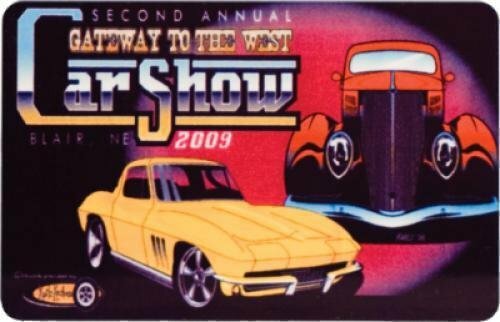 2 1/8" x 3 3/8" Full Color Dash Plaques for your next Car Show. Incorporate a photo of your car or show location. Make your next event special with unique designs that will be a sure collector piece. These come with an adhesive strip on the back to help car owners display their plaques. Send your complete art layout to fit 2.125" x 3.375". Or - Send us your photo and info that you want on the plaques and we'll do the layout for you! Production lead time for this product is 10 days. This product has a minimum order quantity of 100. This product must be ordered in quantity increments of 50.